Majors Home Improvement is a window installer that homeowners in Pensacola, Florida, and surrounding communities depend on for top-notch service and long-lasting products. 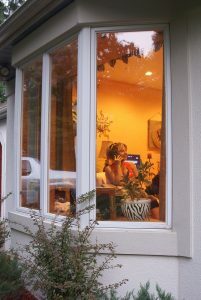 From start to finish, we won’t settle for anything less than your absolute satisfaction and will work diligently to ensure your window installation is completed in a timely manner and according to the highest industry standards. This commitment to our customers is part of the reason we’ve maintained an A+ rating with the Better Business Bureau and a five-star rating with GuildQuality for so many years. Our windows are durable and have a solid vinyl construction that is warranted against rotting, rusting, cracking, warping, and other damage. They are also energy efficient and will help to better insulate your home, keeping it warmer in the winter and cooler in the summer while also reducing the workload on your HVAC system. Majors is the window installer you can trust for your home’s renovation because we only employ highly trained and experienced craftsmen to install our windows, all of whom adhere to our Red Carpet Service guidelines. Our Red Carpet Service ensures you receive all-star treatment during the installation process and that no mess is left behind at the end of the job. If you want to work with the leading window installer in Pensacola, FL, contact Majors Home Improvement today. We’ll be pleased to schedule a complimentary in-home consultation at your convenience.